Which Intec Air Conditioner should I buy? A detailed comparison between Windows AC and Split AC. As most of the people in India can afford luxury due to rise in income due to which sales of air conditioner unit are increasing day by day. At one point often people confuse, and that is which intec air conditioner one should buy the window AC or split AC. Undoubtedly both ACs provide cooling and work efficiently. But still, there is a huge difference in the cost and functioning of both air condition units. Window ac and Split ac are two different types of units. Both are different in pricing and functioning. That’s why it is necessary to familiar with the pros and cons of both the units before making your purchase. The split air condition unit comprises of two units. One is external, and another is installed inside the room. The external unit consists of compressor and condenser and also known as ODU (outdoor unit) whereas the internal unit consists of the evaporative part and known as IDU (indoor unit). On the other hand window, ac is a cuboids shape unit that contains all the parts inside it such as condenser, compressor, expansion valve and other related components. Many split air conditioner manufacturers in india make a quality product. Split air conditioner takes more space as compared to the window ac. Most people residing in flats don’t have large space to accommodate widow ac that’s why they prefer to buy split ac as window ac require a large opening for efficient working. For your information, the outer end of all kinds of ACs require proper ventilation, and if you install split ac in a less ventilated area, your air condition unit starts troubling soon. Most people have less space for split ac, but they purchase it and install the external unit in balconies because split ac looks attractive and creates almost zero noise. On other side window ac needs proper ventilation at its back, and you have to put it on the wall which may ruin your interior. Also, it creates noise which may disturb your sleep. Every window air conditioner brand in india suggest to install it at the place where it gets large opening as the whole unit confined in a single piece of box and should be installed properly to avoid accidents. 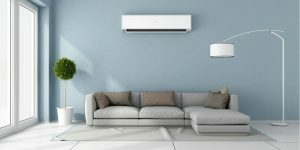 Whereas split ac requires three holes that connect IDU to ODU through a pipe and that hole is hidden behind the internal unit (IDU) that’s why split ac looks attractive and is easy in installation. As all heating components of split ac are installed outside, there is no question of entering extra heat inside your room resulting the room gets cool in minimum time. Whereas windows ac provide less cooling in comparison to split ac as there are chances that a few percents of heat emitted can re-enter into the room. The split air conditioner price is quite higher than the window air conditioner price due to several factors such as units, ease of installment, electricity consumption, looks, etc. Intec is considering the best air conditioner brand in india that provides efficient servicing with its network of service providers and engineers. Next Article How to Purchase the Best Air Conditioner Brand in India?